On October 21st a huge fancy bus pulled up in front of Sonshine Hacienda. 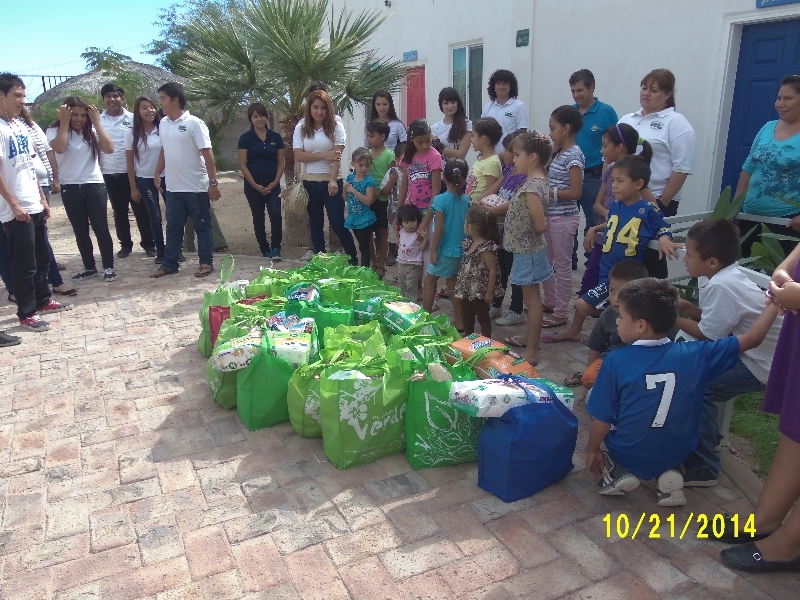 It was filled with 21 students from the University of Mexicali plus their Professors. They came to fulfill a requirement of the university. They require that each student do some type of social service for the community. This group of students chose Sonshine Hacienda. The majority of them were majoring in business. They began their visit by sharing a wonderful breakfast with our children. Then they all volunteered to help with the morning routine of doing homework before the children left for school after lunch time. Before the group had to say good-bye, they unloaded a huge donation of food, diapers and other basic needs for the kitchen from their bus. I was so shocked to see the volume of items that these young people donated. It was a true blessing from the Lord. Our children thanked the students for coming. I love when people like these students come out to Sonshine to visit our kids. They are such a wonderful example for our children. I would love to have them come again, just to spend more quality time with our children. I am sure that those of you who read our newsletter regularly and follow us on our Facebook page know that we are dedicated to the care and well being of each child that we receive here at Sonshine Hacienda. In the past 6 weeks or so, we have had to say good-bye to two sisters that we had for for over a year. Vanessa,10 years and Angela, 2 years were returned to their mother. We wish the best for them and pray that their mother will continue to work on her sobriety. On the positive side, we received 5 new children just in the past month. We have Juliet returning for a second time...only this time she came with her sister, Guadalupe. Then we greeted Juliana and Evelyn, both 10 years old (not related). Last but not least, we just received Axel, a fiesty 1 year old boy. Our nine other boys are thrilled to death to have a baby brother. They are hovering over him and monitoring his every move. Is it hard to see the children come and go? Yes, it is. But we know that we are here for God's purpose. He has a plan and part of that plan is to reunite these children whenever possible back to their parents and families. We will continue to honor our Lord. 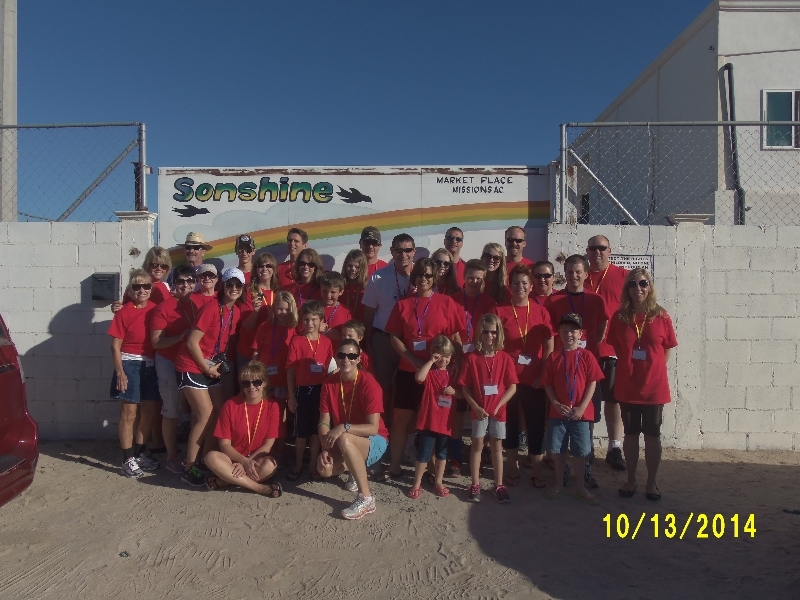 This awesome group broke many "records" at Sonshine Hacienda when they came in October to help us with many projects that had been set aside for them to help us with. First, they were the largest group that we have ever had serving for a week. I think there were 36 people. Second, this was a family mission trip...Mom, Dad's, children of all ages. They all worked so well together. Third, they worked on a record setting number of projects in one week...I counted seven. I have to give a round of applause to the construction crew that built our new Laundry and Clothes Storage building. They were small but mighty. There were approximately five men & women on the construction team. In spite of not being real familiar with steel frame construction, they tackled this project with no fear! By the end of the week, the building was up. We will need to do the electric wiring, plumbing and texturing. But the big part of the building is done...Praise the Lord!! Kudos also go to the Children's Ministry team. Wow, I have never seen a group as organized as this team. They came with all their supplies ready to go and their programs were so well organized. Our children loved their daily programs and activities. Everyone had a job to do and they did it well. This team also spent every afternoon out in a economically disadvantaged area of San Felipe. They worked with Pastor Ildefonso, our Mexican Pastor at our church. 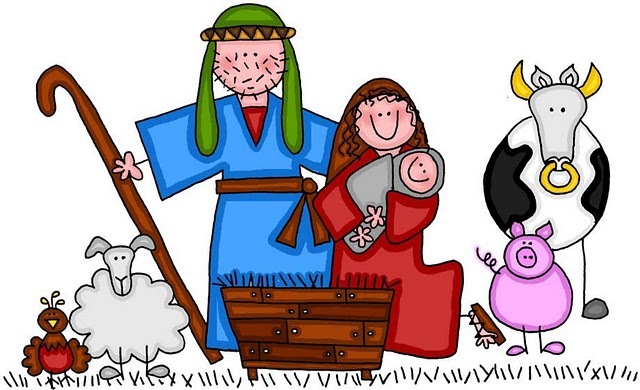 The children loved the crafts, songs and the good news that was shared with the children about our Lord and Savior. We would like to thank Pastor Joren for his wonderful support and guidance. Also thank you to Phil & Donna Varnak for all their help in making this a wonderful blessing for all of us. 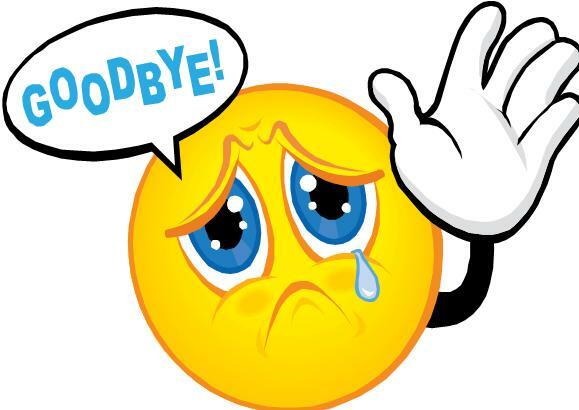 Please do come back again soon!! If you would like to contribute to the children's Christmas this year, we have a couple of suggestions. One is that you can contribute to our building project for a Study Center for the children. We will be equipping this Study Center with lap top computers, desks, chairs and all the materials to aid the students in their studies. Another suggestion is that if you want to contribute to a gift for a child, just send a check and in the memo portion, indicate that it is to be used to offset cost of purchasing Christmas gifts. 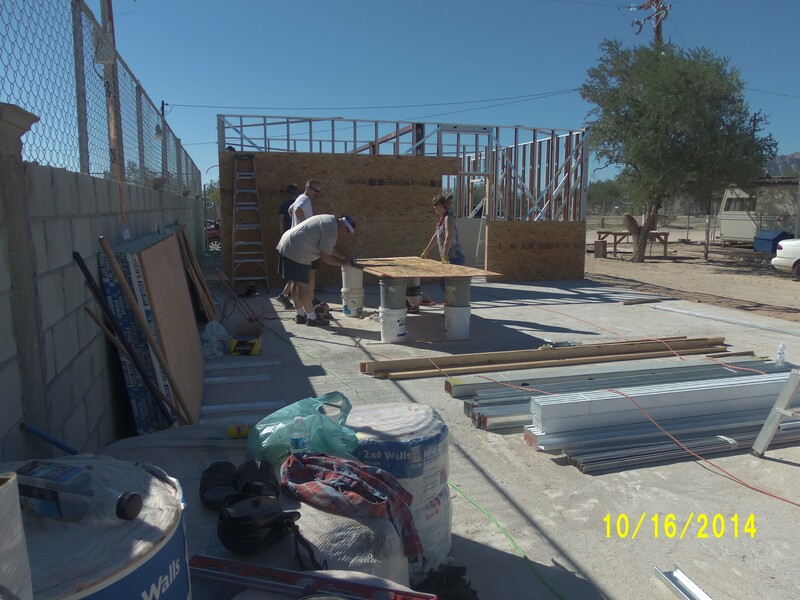 This is the beginning of the construction work that the team from Crossroads worked on during their week with us. The roof is now on, windows in & waiting for another team to carry on the work.